Sweetwater Springs Christmas: A Montana Sky Short Story Anthology (The Montana Sky Series) - Kindle edition by Debra Holland, E. Ayers, Linda Carroll-Bradd, MJ Fredrick, Paty Jager, Jill Marie Landis, Trish Milburn, Linda McLaughlin, Bev Pettersen, Cynthia Woolf. Literature & Fiction Kindle eBooks @ Amazon.com. Come celebrate the holidays in 1895 Sweetwater Springs, Montana, as ten Western Romance authors join New York Times Bestselling author DEBRA HOLLAND in telling fourteen SHORT STORIES of love and laughter, heartbreak and healing, and most of all, Christmas joy. Far from home and with love in their hearts, a young Wyoming rancher and the daughter of a Montana railroad businessman learn the true joy of Christmas is in giving. Will a wish on a star foretell the future of a young suffragette and a visiting rancher? A lonely widow and a lonelier marshal make peace with their past. Can two reserved people overcome their limitations and find love? An orphaned boy finds an unexpected family. A boy brings together his grieving grandmother and the town miser for a second chance at love. The town banker learns that perhaps some things are more important than money. Ida doesn't remember the last two years, but her husband is determined to find her and reignite their love. A spinster discovers it's never too late to embrace love and the surprises life has in store. A woman scarred in face and heart finds love with a cowboy. A grieving ten-year-old girl anticipating a sad Christmas receives some surprises. With a little Christmas magic, two searching hearts discover they can bridge much more than a raging river. Faced with her first Montana winter without her husband, Rachel Tanner and her young son need a miracle. Julia Bosworth travels west to fulfill a special dream and finds her heart’s desire. This short story collection takes place after Montana Sky Christmas, but the anthology can be read as a stand-alone book. A heartwarming Christmas story set in Montana in 1895? What could be more fun for me to write? Especially as I was asked to join New York Times Bestselling Debra Holland and a host of writer friends. Through our stories we were able to journey through time to Debra's beloved fictional town of Sweetwater Springs and have our characters interact with hers. 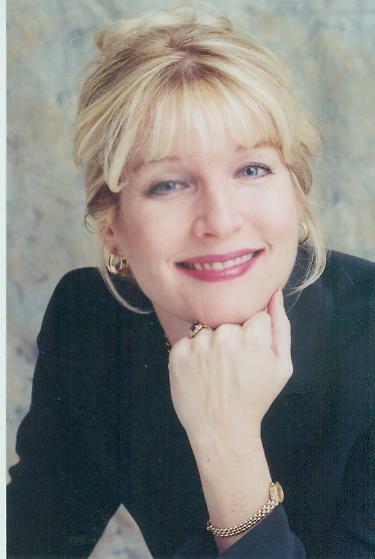 JILL MARIE LANDIS'S numerous novels have earned distinguishedawards and slots on such national bestseller lists as the USA TODAY Top50 and the New York Times Best Sellers Plus. She is a seven-timefinalist for Romance Writers of America's RITA Award in both SingleTitle Historical and Contemporary Romance as well as a Golden Heart and RITA Awardwinner. Lots of emotion, holiday generosity and family love. Very sweet. Loved these stories. Many tears. I truly enjoyed all the stories but the ones by Debra Holland also filled in a couple of blanks from the series and made the anthology wonderful. Stories all center around the Christmas Eve Party at the new hotel in Sweetwater. The first and last by Debra Holland are tied together and include recurring characters and the joy of charity and benevolence. The last is also Ben’s change from hoodlum to grown up good guy. It’s so sweet. I had missed this story of change and had wondered about it. And Ike’s story: so moving. Sugarplum Dreams by Cynthia Woolf - a sweet shop opens by a single female. She and the carpenter helping her fall in love. Sweet and yah for female entrepreneurs. Mentions of the shop show up throughout the anthology. 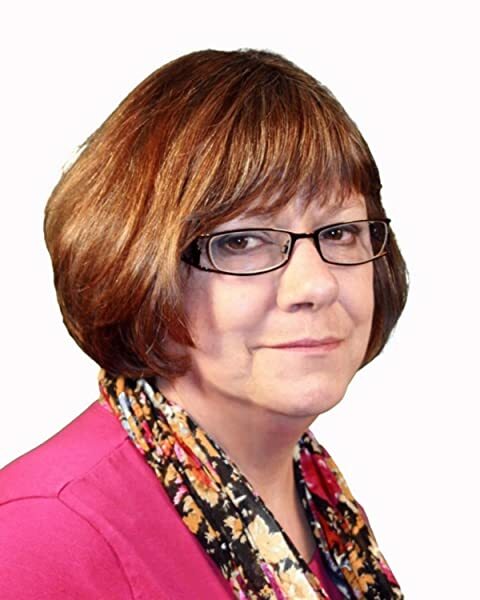 A Best Present by Linda McLaughlin - a few tears with this one but we learn Widow Murphy does have a soft heart when given the right opportunity. The Christmas Crossing by Bev Pettersen - such determination, and responsibilities for a young woman. And they put her in jail! For her protection, of course. Lovely story. A Family for Ike by Debra Holland - so sad, so lovely. Family and connections. The joy of quiet and love of reading. A Christmas Far From Home by E. Ayers - the generosity of sharing, and the opposites of good people and bad. Sweetwater Springs Scrooge by Debra Holland ( inclusion in the audible version and the copy, not in the print version) - a Scrooge, second chance older couple romance. They start off with amusement in her grandchild, and soon realize their feelings for each other are still alive. The party. And Ben growing up. Loved this entire anthology but this one wrapped it together and tied it in a pretty red bow. With tinsel. 5.0 out of 5 starsMY BEST BOOK OF THE YEAR! Since I started reading this book the day it came out, I've read at every opportunity I had free. The book is an anthology of authors' tales about Christmas events in Sweetwater Springs. It is totally amazing to see the observation of each author and the individuals they depicted. There were lives of those that lived in the town itself as well as the outlying ranches in the area. I could actually see the mountains of snow and the mud in the town as the snow melted. At one point, the cold was so descriptive that I actually got up and put a throw over my lap. I smiled over the fact I felt the cold from the book. That isn't easy in Southern California, but the author made me feel the chill. I laughed over the glee of children's happiness with a piece of candy and cried over little Ike in the loss of his parents. Meals were late in this house because I had to finish one story and then rushed to clean up because I had to start another. Very little has gotten done around here because I had to read this book, cover to cover, and let you all know how great this book is. I met new authors and read their stories. Thanks to all of you for your hard work in bringing to life Sweetwater Springs, Montana. I look forward to reading books from all the authors who contributed great stories. 5.0 out of 5 starsA beautlfully told collection of historical short stories with a Christmas theme. I was first drawn to this collection because Tori Scott was one of the authors, but I quickly discovered that there were several writers presented whose books I love, so it was no surprised to discover that Sweetwater Springs Christmas is a fabulous collection of short stories. Each of the tales is of delightful quality, presenting a realistic view of the tough times in the rural areas of Montana in the late 1800's while emphasizing the strength of the people who survived and the beauty of love that knows no boundaries of time. One of the things that made this book more fun than many anthologies is that the stories were tied together by the fictional town of Sweetwater Springs and many of the same people showed up in different stories. The stories in the collection introduced me to several new authors whose writing impressed me enough that I intend to follow them. It was an all round satisfying read that I can comfortably recommend to any lovers of gentle romance. 5.0 out of 5 starsAmazing Stories! All these stories were so good, there were some that touched me more than others but in no way did that take away from the other stories. They all were wonderful, deep emotional and mostly family based. I highly recommend this book as well as encourage you to get this book in audio and have it read to you. I'm sure you will adore these stories and enjoy them being read to you. 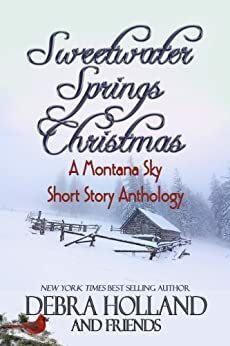 This is a collection of 13 short stories set in the Montana Sky Series's Sweetwater Springs around Christmas time, three of which are written by the series's author Debra Holland and the other ten stories are authored by various other romance authors. Most of the stories in this collection are romance stories but a couple are not. My favorites are A Family for Ike (about an orphaned boy finding a home with a kindred spirit) and A Christmas Far From Home (about a young couple meeting after years of correspondence and which has a sequel about the woman's sister in A Rancher's Woman by E. Ayers). Many of the tales are interwoven with details from the others, so by the end it all comes together in the last story of the collection with a wonderful finish. For fans of Paty Jager's Halsey Brothers series, her contribution A Christmas to Remember includes an appearance from Zeke and Maeve Halsey. Great holiday collection and I look forward to the next book in this series!